THE MUST HAVE TOP TIPS GUIDE TO DOING BUSINESS IN RUSSIA. 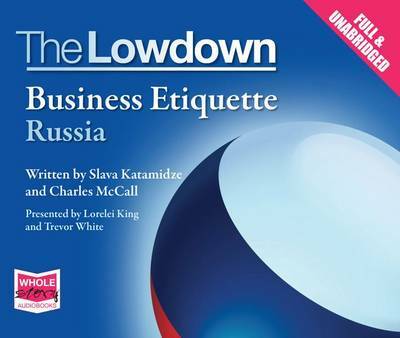 Get the inside information on how to do business and cope with business socialising in Russia. Topics covered include: how to understand and build business relationships, how to navigate your first business meeting - what to do and what NOT to do! How Russia's business culture differs from the West. Useful tips on what to research and prepare for your trip. How to cope with social invitations and to understand their critical importance in a business relationship. Conversational taboos. A list of useful Russian phrases.